A federal judge in Virginia has ruled in support of President Donald Trump's latest travel ban for people from six Muslim-majority countries. The ruling comes a week after two federal courts decided against the ban. 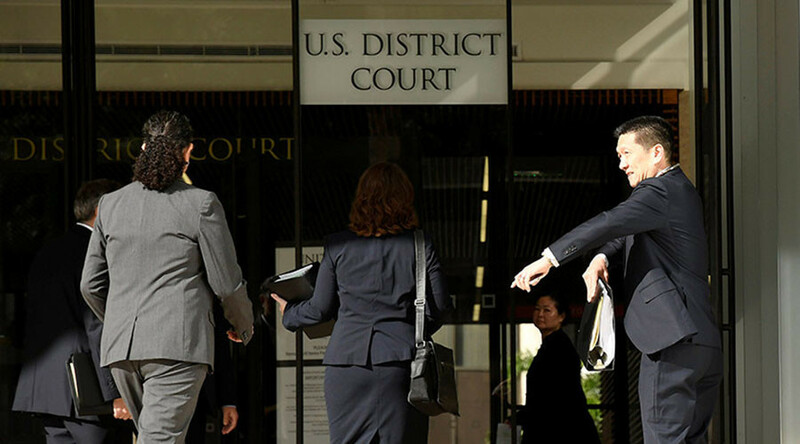 In a decision hailed by the White House, US District Court Judge Anthony Trenga ruled Friday that the revised travel ban could go forward, seeing the latest version as markedly different from the Trump administration's initial effort. 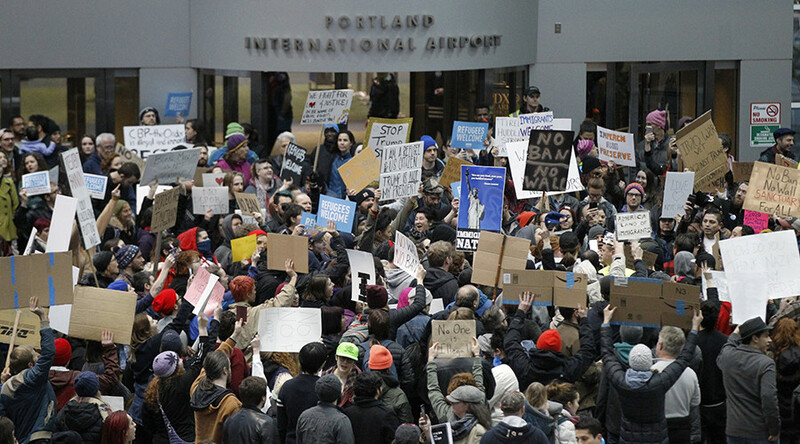 The first version of the travel ban was the subject of negative rulings in federal court last month, most recently in the 9th Circuit Court of Appeals in Seattle, Washington. Signed on March 6, Trump's second travel-ban executive order placed a 90-day suspension on the issuance of visas to citizens of the six nations – Iran, Libya, Somalia, Sudan, Syria and Yemen – and all refugee admissions into the US for 120 days. "The substantive revisions reflected in [the second order] have reduced the probative value of the President’s statements to the point that it is no longer likely that Plaintiffs can succeed on their claim that the predominate purpose of EO-2 is to discriminate against Muslims based on their religion and that EO-2 is a pretext or a sham for that purpose," Trenga wrote. The new executive order includes "detailed justification," Trenga added, that is "based on national security needs, and enjoining the operation of EO-2 would interfere with the President’s unique constitutional responsibilities to conduct international relations, provide for the national defense, and secure the nation." A major issue with the first, failed executive order related to Trump's repeated campaign pledge to pursue a "Muslim ban" as president. 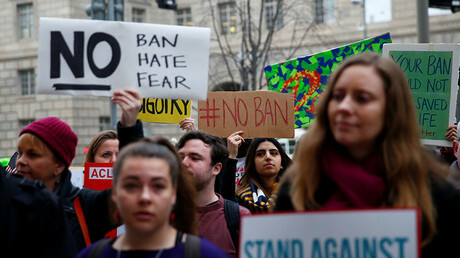 In his Friday opinion, Trenga called the first version of the travel ban "a facially discriminatory order coupled with contemporaneous statements suggesting discriminatory intent." Yet the revised version was amended enough for Trenga's approval. "The President has unqualified authority to bar physical entry to the United States at the border," Trenga wrote. White House press secretary Sean Spicer applauded the decision, as did the US Department of Justice. "We’re pleased with this ruling, which found that the plaintiffs had no likelihood of success on the merits of their claims," Spicer said Friday during the daily press briefing. "We’re confident that the president’s fully lawful and necessary action will ultimately be allowed to move forward through the rest of the court system." The Council on American-Islamic Relations, the plaintiff in the case, said they would appeal Trenga's ruling. "Fortunately, his decision doesn't alter the previous injunctions already blocking what we call the Muslim Ban 2.0," CAIR's Ibrahim Hooper said, according to Politico. He added: "We look forward to the 4th Circuit and the Supreme Court weighing in on the matter and we believe that ultimately the Constitution will prevail." Last week, a federal judge in Hawaii issued a temporary restraining order against the travel ban's implementation. Judge Derrick Watson ruled that the plaintiffs, who argued that the ban discriminated on the basis of nationality and was motivated by anti-Muslim animus, "have met their burden of establishing a strong likelihood of success on the merits of their Establishment Clause claim." "The illogic of the government's contentions is palpable. The notion that one can demonstrate animus toward any group of people only by targeting all of them at once is fundamentally flawed," Watson wrote. Since that ruling, Watson has received death threats and is now under 24-hour federal protection from the US Marshals Service. On March 16, US District Judge Theodore Chuang ruled against the executive order, calling Trump's statements about Muslims "highly relevant," even though the second ban does not include the first ban's preference for religious minorities among refugees attempting to enter the US. "Despite these changes, the history of public statements continues to provide a convincing case that the purpose of the Second Executive Order remains the realization of the long-envisioned Muslim ban," said Chuang, who is based in Maryland. Chuang granted a nationwide preliminary injunction, though he did not block the entire order. He said national security did not appear to be the main purpose of the ban. "The fact that the White House took the highly irregular step of first introducing the travel ban without receiving the input and judgment of the relevant national security agencies strongly suggests that the religious purpose was primary and the national security purpose, even if legitimate, is a secondary, post hoc rationale," Chuang wrote. The federal government has appealed Chuang's ruling, but it has not appealed the temporary restraining order levied by Watson in the Hawaii decision.